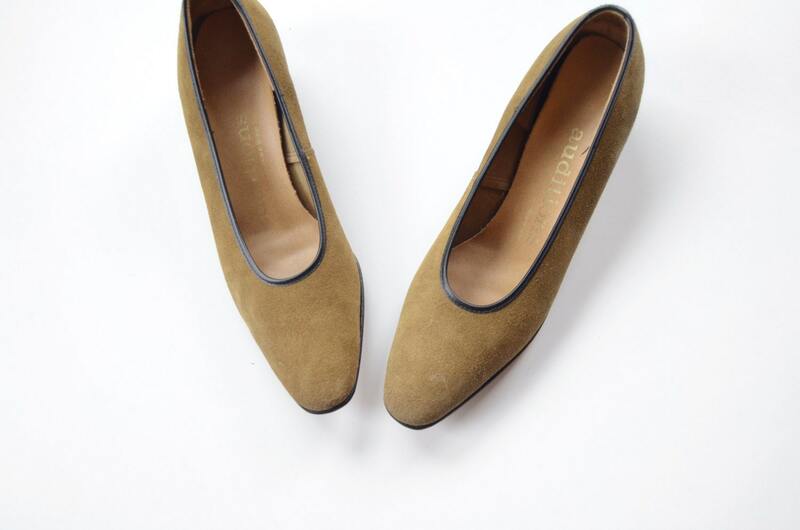 Olive minimalist suede low heels. 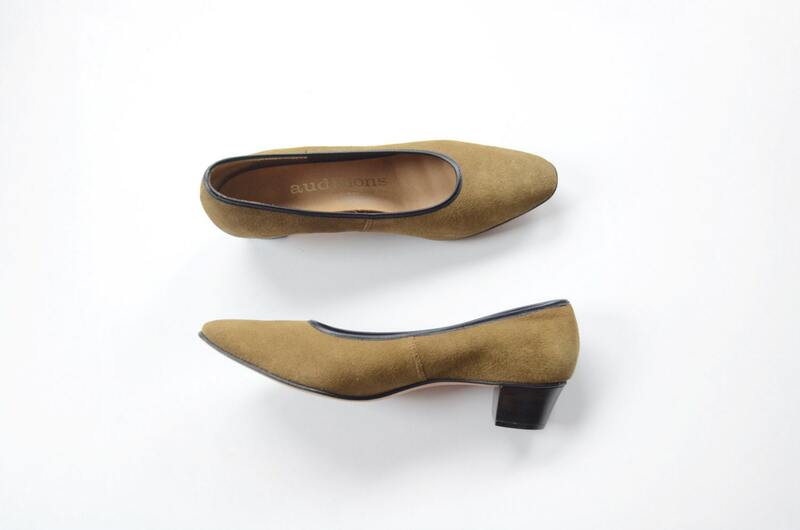 You must compare the measurements of the shoe to your own, or a shoe that fits, to ensure these will work for you, the stamped size is just an estimate and not sufficient when buying vintage shoes. Material: Suede, Vinyl sock lining. Cellulose innersole. 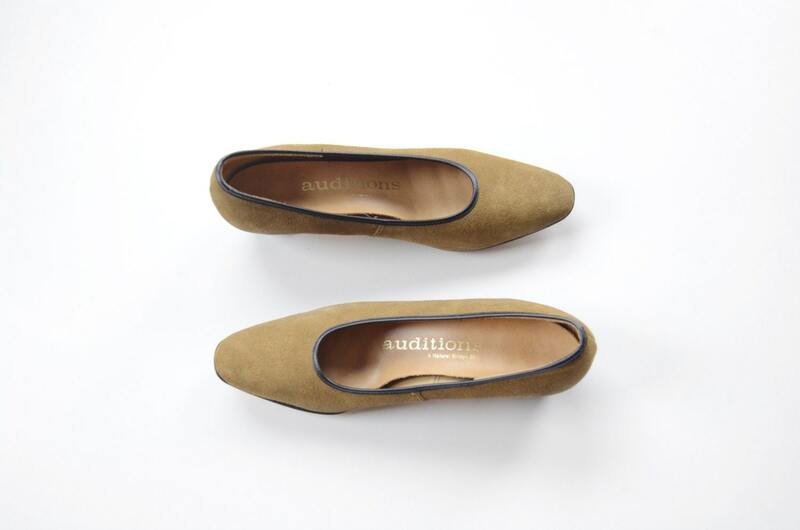 Condition: Great shape, slight curling to lining but it flattens when worn.